First, for visitors to Rochester, I have to say you won’t find a better musical value in all of Rochester than our Symphony. I bought my ticket at the door (there were plenty of seats), and my seat was $20. If you find yourself in Rochester for an extended medical stay, for example, you could likely take in a Symphony concert without any pre-planning. Ok, this performance was a “highlights” show of operatic excerpts, rather than a complete opera. We started with Mozart (always a great place to start, says Maestro Jere Lantz), and the well-known Marriage of Figaro. The soloists on this piece were all members of the Chorale who stepped out to sing the solo parts. The rest of the program was a mix of the familiar (Wagner’s Bridal Chorus and the Ride of the Valkyries; Borodin’s Prince Igor) and – for me, anyway – the unfamiliar (Verdi’s Nabucco and Copland’s The Tender Land). The real prize, though, was the Intermezzo and Easter Hymn from Pietro Mascagni’s Cavalleria Rusticana. Soloist Carol Nelson had a particularly shining moment on this piece. The Chorale was in good form, and the audience showed its appreciation to both Maestro Lantz and to chorale director Pat Anderson with an extended round of applause. I’m truly grateful to have this musical resource in our town. 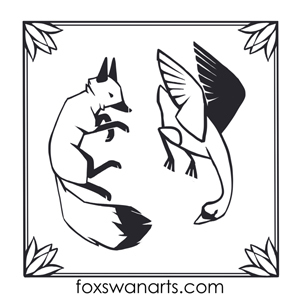 I chatted briefly with Development Director Mark Nechville after the performance about Fox and Swan Arts has chosen to make a modest financial contribution to RSOC, and if you are a small local business, I invite you to do the same. I’m confident patrons of the Symphony will appreciate your support.